Earlier this month, we visited a very special showroom and friend of the studio, Menno Kroon. 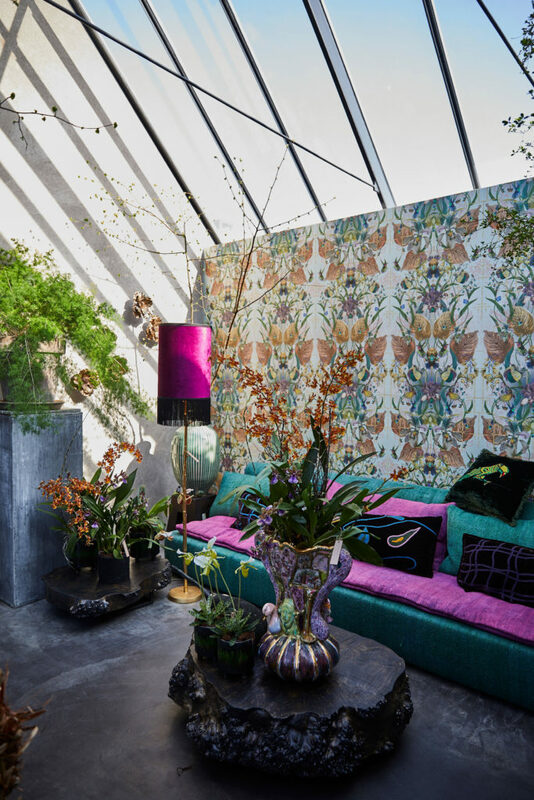 His showroom in Cothen, Netherlands is truly wild and free in its expression of design. 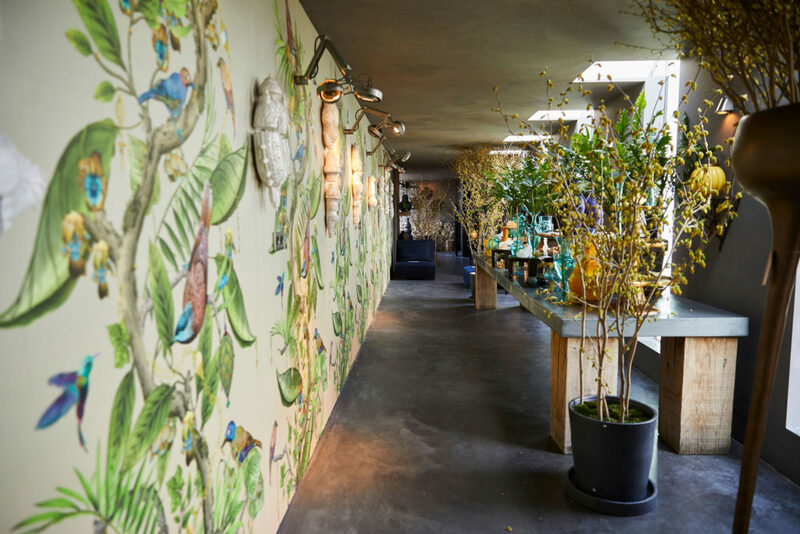 Menno re curates the space every six months and he selected our Ecclesiastical Botanica wallpaper to show along the long corridor space. 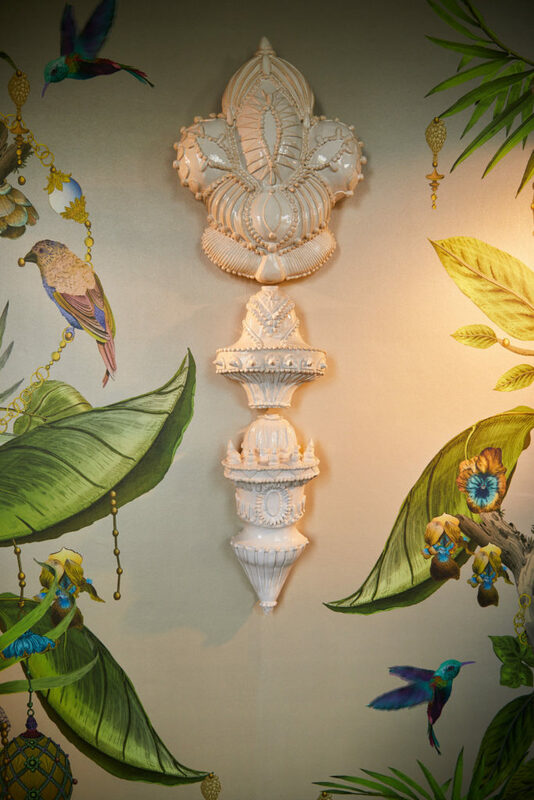 This place truly is a temple to the surprising potency and narrative force of combining objects, colours and notions in such a way as to allow the items to converse in new and interesting ways. I in this way, Menno truly is an alchemist. Thank you Menno for inviting us.